Antimony trioxide, together antimony tetroxide and antimony pentoxide, are the current three compounds forming between antimony and oxygen with industrial application. Antimony can form a series of oxide with oxygen such as Sb2O3, Sb2O4, Sb2O5, Sb6O13, and Sb2O as well as gaseous SbO. However, only the first three compounds have significance in industrial production with other oxides mostly being the transition product of various kinds of antimony production process. Antimony trioxide (Sb2O3, Mr291.50) is a dual-type substance including cubic crystal and monoclinic crystal type. For different crystal form, the density and refractive index also slightly differ. The density and refractive index of cubic crystal is 5.2 and 2.087, respectively while is 5.67 and 2.18 for the monoclinic crystal, respectively. The Sb2O3 commonly derived from hydrolysis of SbCl3 is rhombic crystal can burn to red heat in an inert gas or in vacuum and can generate square crystal upon sublimation. Antimony trioxide is a kind of white powder with the density being 5.67g/cm3. It becomes yellow when being heated and turn back to white upon being cooled. Upon 656 ℃, it can be molten into yellow or gray liquid with becoming white asbestos-like mercerizing substance. Antimony trioxide is slightly soluble in water, ethanol and dilute acid, easily soluble in concentrated hydrochloric acid, oxalic acid and tartaric acid, and is also soluble in fuming nitric acid and fuming sulfuric acid; it form antimonite upon be dissolved in alkali. Antimony trioxide has a low toxicity but has irritation effect on nose, eyes, throat and respiratory tract. Skin contact may induce dermatitis. Antimony trioxide mainly has two preparation methods including dry and wet. Dry method is through reducing the crude sulfur trioxide generated from the calcined sulfantimonide ore into metallic antimony in the presence of coke with soda as the melting promoting agent. The wet method is through leaching sulfur antimony ore with hydrochloric acid to generate antimony trichloride and further hydrolysis with caustic soda to obtain it. Antimony trioxide is a widely used flame retardant suitable to being used for polyethylene, polystyrene, polyvinyl chloride, polyester, epoxy resin, polyurethane and other plastics. However, it has low flame retardant effect when being used alone. Instead it has good synergistic effect when being used in combination with phosphates, chlorine-containing compounds (such as chlorinated paraffins, PCBs, perchloro-glutar-cyclodecane etc. ), bromine-containing compounds (such as Hexabromobiphenyl, Hexabromobenzene) with the flame retardant performance being improved significantly. 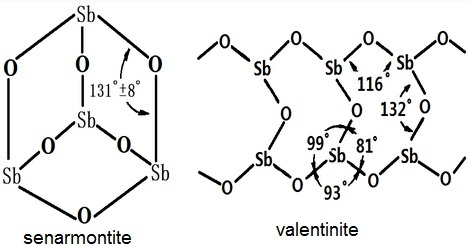 Combining of antimony trioxide with chloride or bromide can result in antimony trichloride or antimony bromide which is reactive and volatile substances which can promote the halogen movement and generation of carbides in its solid form as well as capturing free radicals in its gas form. These reactions can all contribute to flame retardancy. It is always combined with zinc oxide, sodium hydroxide, etc. to be used as brominated synergist flame retardant synergist for being applied to plastic fire prevention system. Antimony trioxide can also be used in the manufacture of antimony potassium tartrate, pigments, porcelain enamels, dyes and other media. It can also be used as a catalyst for polyester poly-condensation. Add the ammonia into the boiling liquid of antimony potassium (one part of antimony potassium tartrate K (SbO) C4H4O6 is dissolved in 10 parts of water); boil for a period of time, filtered, wash to give antimony trioxide. Among them, only trace amounts of silicon, magnesium has been detected from the antimony trioxide generated from the hydrolysis method through spectroscopy qualitative analysis. It is suitable as spectral analysis standard. Add 15 g of analytic purity grade antimony trioxide to the 500 mL beaker, further add 30ml of high purity hydrochloric acid (1 + 1), and dissolve it under stirring. Filter the solution with washed sand glass funnel to remove insoluble impurities. Further dilute it to 400 mL with high purity water when white chlorine oxide antimony is precipitated. Once the solution becomes clear, decant the supernatant liquid and wash the precipitate through decantation for several times. To the washed precipitate, add 200 mL of high-purity ammonia (1 + 25) and boil for 5~10min, when the antimony oxychloride all becomes antimony trioxide. The generated antimony trioxide particle is much smaller than the antimony oxychloride. Pour out the clearing solution and boil again for several times using the same method in dilute ammonia. Check the washed solution with silver nitrate; when the poured liquid no longer contains chlorine ions, all the antimony oxychloride has been completely converted to antimony trioxide. Then use high-purity water decantation for wash the precipitate for several times. Use Buchner funnel for filtration and then wash the precipitate with high purity water until the washed liquid becomes neutral again. The washed precipitate is dried in an oven at 150 ℃ to constant weight; take it out after cooling to get the final product of antimony trioxide. Reference: Xinyou Wu, Shengquan, and Jinxian Zhai, “Manual for Purification and preparation of analytical reagent” Beijing: Metallurgical Industry Press. The preparation method of antimony oxide method is divided into dry and wet method. Dry method includes antimony metal and stibnite method; wet including acid leaching and antimony salt decomposition method. Methods of operation: 700 kg of 99.8% antimony metal (sulfur containing 29 × 10-6) was heated in a graphite furnace to 1200 ℃; pour into air for 5 min within 0.3m3/min, until the sulfur dioxide content in exhaust≤5 × 10-6, cool to 786 ℃, pour into air for12 h at the rate of 2m3/min to obtain the antimony oxide with the yield being 92.1%. Operation: Select the high grade stibnite containing Sb 50%~60%, As 0.1%, Pb 0.007%, Fe 0.16%, S 11.42%, Al2O3 0.66%, CaO 4.75%, MgO <0.5%, SiO2 8.65%, HgO 0.0026%. Mix this concentrate together with iron ore (Fe 50.17%) containing 10% antimony concentrate as well as 2% limestone (CaO> 50%) and add them into the fuming furnace slag bath at a certain speed, put air, coal mixture into it to adjust the temperature of the liquid slag as well as atmosphere in the furnace to maintain the temperature being at about 1250 °C, and the gas phase CO2/CO in the furnace gas phase being 4.78, 1 g PO2 =-8.33, add the material for continuous melting. The antimony is mainly existed Sb2O3 (with a small amount being in sulfide form) was constantly fumed into the gas phase; upon the purification of flue gas, transfer the sulfide into Sb2O3 through the burning in flue and combustion chamber with the oxides in the flue gas being separately collected separately in each part of collecting device, wherein antimony oxide is collected in flue vortex. The fume and dust collected by the electrostatic precipitator has high purity and can be used as antimony oxide. The collected dust and tail gas is released after the absorption of sulfur dioxide. After completion of the addition of the material, continuously put air and coal for melting and fuming for about 1h; when the fume is almost free of white volatiles, the process ends; release 2/3 slag. operation method: Take 600 kg of antimony sulfide ore containing Sb 60.07%, Pb 0.9% and less than 60 mesh, continuously add into acid leaching tub with the leaching solution composition being HCl 1.0mol/L, Fe2 + 70g/L (added FeCl2), Sb3 + 4.2 g/L, leaching solution: solid = 2: 1, apply steam heating to 80 ℃; Under mechanical stirring, put into chlorine gas for extraction for 6h; Filter, purify to get a leaching liquid containing Sb 283g/L; further apply hydrolysis at room temperature; antimony oxychloride was washed several times by water and further neutralized with ammonia for 30min to have pH = 8~9; further wash to pH = 7, filter and dry to give 406 kg of antimony oxide powder which contains Sb2O3: 99.80%, particle size being lower than 325 mesh, and whiteness being 97%. Methods of operation: metal antimony is reacted with chlorine to generate antimony trichloride, which is further subjects to distillation, hydrolysis, ammonolysis, washing, centrifuge and separation, and drying to obtain the finished product of antimony trioxide. intraperitoneal-rat LD50: 3250 mg/kg; intraperitoneal-Mouse LD50: 172 mg/kg. combustible with combustion generating toxic fumes of antimony compounds. Treasury: ventilation, low-temperature and drying; store it separately from food ingredients, BRF3 and chlorinated rubber. Dry powder, foam, sand, carbon dioxide, water spray. TWA 0.5 mg (Sb)/cubic meter. White or gray mineral, sometimes pale red, white streak and adamantine or silky luster. Mohs hardness 2–3. Antimony trioxide is a noncombustible, odorless, white crystalline powder. manufacture of tartar emetic; as paint pigment; in enamels and glasses; as mordant; in flame-proofing canvas. A white insoluble solid. It is an amphoteric oxide with a strong tendency to act as a base. It can be prepared by direct oxidation by air, oxygen, or steam and is formed when antimony(III) chloride is hydrolyzed by excess boiling water. Diantimony trioxide is a white crystalline solid. Diantimony trioxide is insoluble in water. The primary hazard is the threat to the environment. Immediate steps should be taken to limit its spread to the environment. Diantimony trioxide is used to fireproof fabrics, paper and plastics, as a paint pigment and for many other uses. IDiantimony trioxide ignites and burns when heated in powdered form in air [Mellor 9:425 1946-47]. Reacts violentlhy with bromine trifluoride [Mellor Vol. 9 425.1939]. DUST: POISONOUS IF INHALED OR IF SKIN IS EXPOSED. If inhaled will cause coughing, difficult breathing or loss of consciousness. SOLID: POISONOUS IF SWALLOWED OR IF SKIN IS EXPOSED. If swallowed will cause dizziness, nausea, vomiting or loss of consciousness. This hard shiny metal is often alloyed to other elements. It is used in various industrial fields such as batteries, printing machines, bearing, textile, and ceramics. It caused positive patch test reactions in two workers in the ceramics industry. Confirmed carcinogen with experimental carcinogenic and neoplastigenic data. Poison by intravenous and subcutaneous routes. Moderately toxic by other routes. An experimental teratogen. Other experimental reproductive effects. Mutation data reported. See also ANTIMONY COMPOUNDS. When heated to decomposition it emits toxic Sb fumes. Incompatible with chlorinated rubber and heat of 21 6° and with BrF3. It is used in flame-proofing, pigments and ceramics, to stain iron and copper; to decolorize glass; industrial chemical, dye, pigment, and printing ink. UN1549 Antimony compounds, inorganic, solid, n.o.s., Hazard Class: 6.1; Labels: 6.1-Poisonous materials, Technical Name Required. Dissolve the trioxide in the minimum volume of dilute HCl, filter, and add six volumes of water to precipitate the basic antimonous chloride (free from Fe and Sb2O5). The precipitate is redissolved in dilute HCl, and added slowly, with stirring, to a boiling solution (containing a slight excess) of Na2CO3. The oxide is filtered off, washed with hot water, then boiled and filtered. The process is repeated until the filtrate gives no test for chloride ions. The product is dried in a vacuum desiccator [Schuhmann J Am Chem Soc 46 52 1924]. After one crystallisation (precipitation), the oxide from a Chinese source had: metal (ppm) Al (8), Ag (0.2), As (56), Cr (6), Ge (0.4), Mn (0.2), Na (16), Ni (2.2) Pb (2.4), Sn (0.4) and V (32). It sublimes in a vacuum at 400o, being yellow on heating and pale buff in colour on cooling. [Schenk in Handbook of Preparative Inorganic Chemistry (Ed. Brauer) Academic Press Vol I p 615-616 1963.] Aqua regia. This is prepared by adding slowly concentrated HNO3 (1 volume) to concentrated hydrochloric acid (3 volumes) in a glass container. This mixture is used to dissolve metals, including noble metals and alloys, as well as minerals and refractory substances. It is done by suspending the material and boiling (EFFICIENT FUME CUPBOARD — EYE PROTECTION] to dryness and repeating the process until the residue dissolves in H2O. If the aqua regia is to be stored for long periods it is advisable to dilute it with one volume of H2O which will prevent it from releasing chlorine and other chloro and nitrous compounds which are objectionable and toxic. Store it cool in a fume cupboard. However, it is good laboratory practice to prepare it freshly and dispose of it down the fume cupboard sink with copious amounts of water. Incompatible with oxidizers (chlorates, nitrates, peroxides, permanganates, perchlorates, chlorine, bromine, fluorine, etc. ); contact may cause fires or explosions. Keep away from alkaline materials, strong bases, strong acids, oxoacids, epoxides, halogenated acids, chlorinated rubber, bromine trifluoride. Reduction with hydrogen forms toxic antimony hydride. ANTIMONY(III) OXIDE MEG 2-50 R. G.